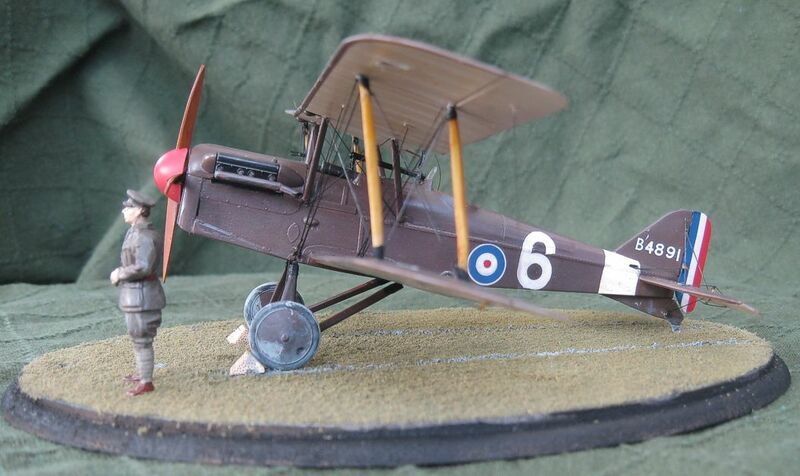 Spring 2017 is proving to be a very exciting time for modellers interested in British WWI aircraft, with first WnW’s beautiful Camels arriving, and now Eduard’s eagerly anticipated 1:48 SE.5a. New Eduard WWI aviation kits have become something of a rarity of late - to the point where some doom and gloom pedlars declared that the company had turned its back on the genre which it had done so much to establish in the mainstream field. Well, the release of the SE.5a is the perfect answer to knock that rumour on the head - and, better still, it’s a real gem of a kit. Eduard’s first release is a Hi-Tech boxing of the Wolseley-powered variant. The parts for other versions are also there on the sprues, ready for what is clearly going to be a series of kits. The moulding is superb in the sample kit, with just the faintest traces of moulding lines. Ejector pins have been kept clear of the cockpit, with just a couple that will be hidden behind the engine. The only sink marks I’ve spotted are where there are locating pins on the bottom of the fuselage. These are very shallow and will only take a moment or two to deal with. The surface finish comprises subtle ribs and stitching on the flying surfaces, with beautifully delicate fasteners and lacing on the fuselage. The representation of the fabric on the rear fuselage is drum-tight. There’s obviously only so much you can dry-assemble on a biplane, but checking a few major components on the SE.5a is very encouraging. The fuselage halves clip together precisely and the horizontal tail slots in very solidly. The full-span lower wing includes a large section of the bottom of the fuselage which clips in place tightly to provide a sound foundation for the rest of the build. Construction begins logically with the cockpit, which is very nicely detailed with a mix of over 50 styrene and etched parts. There are pre-coloured seat belts and a choice of etched or styrene instrument panels. The etched panel is pre-coloured cream, which will provide a good base for a wood-grain effect. Etched and decal instrument faces are provided as alternatives - but, of course, you could always mix and match as you choose to suit your favoured style of building. The instructions show the Lewis magazine holders replaced by folded etched etched items, but less experienced modellers may well stick with the plastic versions which are fine in their own right. Jumping ahead a bit, the Lewis gun itself is very crisply moulded integrally with its track. Sadly, that does mean you can’t model it pulled back for loading or servicing. The synchronised Vickers is also nicely handled, and has an etched cocking hand and ring sight. The 9-part Wolseley Viper boasts some very fine detailing that will repay careful painting and highlighting. It’s ideally a job for an airbrush and some of the super-fine grained metaliser paints available these days (Eduard recommend Mr Metal Color), because brush-painting with conventional enamels or acrylics will risk swamping the details. A photo-etched bomb rack is included for one of the colour schemes. This is beautifully delicate, although it’s a shame there aren’t any bombs to go with it. It requires some very careful folding and curving, so will present quite a challenge to newcomers to using etched parts. There’s a choice of windscreens offered, and the transparent parts are crystal clear. Covers are included for the inspection panels over the control cable pulleys, along with etched triangles to finish the job. The assembly guide is printed in colour as a compact 20-page booklet on glossy paper. Construction is broken down into around 50 stages and sub-assemblies (lettered, rather than numbered), which sounds daunting for such a small model, but many only involve a few parts and it does make for a very clear sequence. The diagrams are uncluttered and easy to follow. Eduard provide colour matches for Gunze Sangyo paints to most details in the course of the build. The final two stages show the rigging, and beginners to the “dark art” will face an extra challenge because the flying wires are doubled. The attachment points are marked on the kit parts, but you’ll probably want to drill them deeper, whatever your preferred method of rigging. As we’ve seen in a recent Forum post, the configuration and markings for Lt. Burden’s aircraft aren’t quite as straightforward as portrayed by Eduard. It’s well worth reading this detailed discussion on The Aerodrome. The decals themselves are beautiful quality. They’re custom printed by Cartograph, so they should behave excellently, and the register is basically perfect on the sample sheet. Eduard’s new SE.5a is a little gem of a kit and deserves to be a huge success. 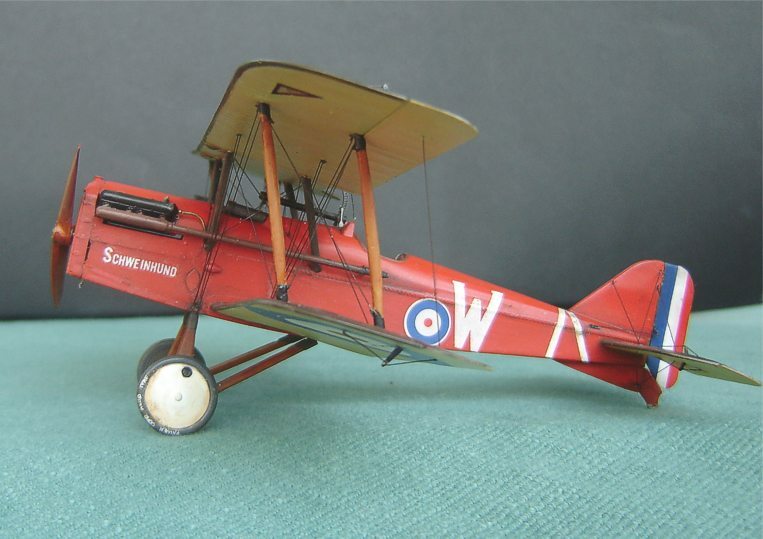 It’s detailed enough to satisfy advanced modellers, while the precise moulding and fit will be a great help to anyone new to tackling biplanes. Highs: Highly detailed and crisply moulded. High quality decals and etched accessories. Excellent value for money. Lows: There's a question over one of the colour schemes. Verdict: Eduard's SE.5a looks beautiful. It would be a bit of an over-ambitious project for beginners (particularly if you include the etched details and rigging), but anyone with some experience can look forward to a very enjoyable build. The red disc was removed from American insignia so as not be confused with the Japanese Hinomaru. For the same reason, the RAF removed their red centers from roundels, but only for aircraft deployed in the Pacific theater. -------------------------- About the Sutton seatbelts with Eduard's Se.5a, for the most part they are correct after some searching. That set up replaced the wide lap belts sometime in 1918 while the war was still being waged - just haven't been able to pinpoint an exact date. I think it's fine to just have lap belts on the Se.5a - though they should be quite wide I'm guessing. Over at the Aerodrome forum, the late Dan-San Abbott mentioned that he had a diagram of the Se.5a with the Sutton A type harness, dated April 1918. I'm guessing this is what Eduard have given us.